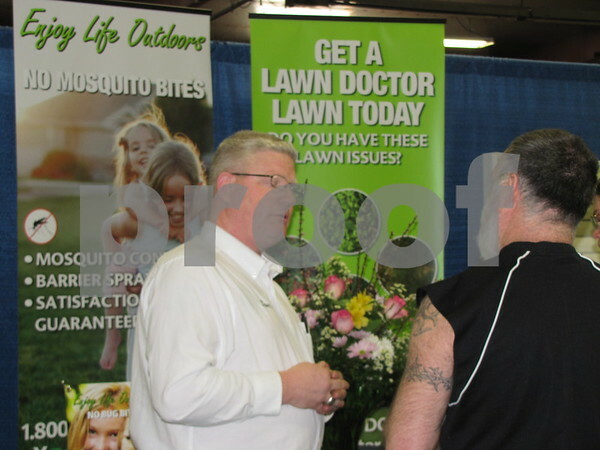 Tom Bowman with 'Lawn Doctor' answers questions for an attendee. 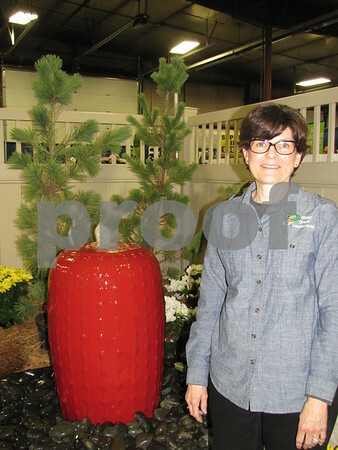 Kathy Graeve of Stony Creek Landscapes of Webster City stands next to a beautiful water fountain on display. 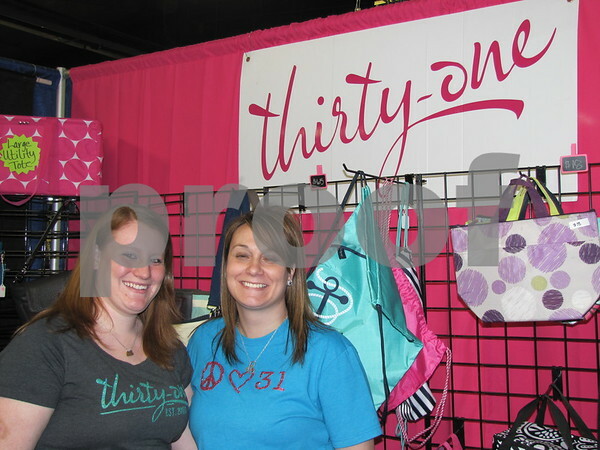 Kaitlyn Stewart with 'Thirty-One' Independent Consultant Cheri Beckley. 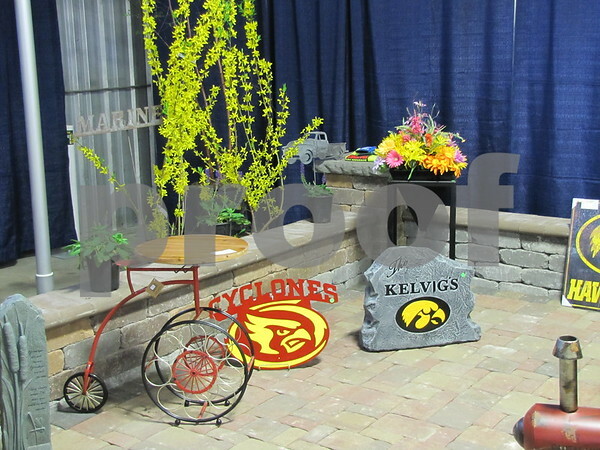 Booth for 'Stone Creek Landscape' in Fort Dodge. 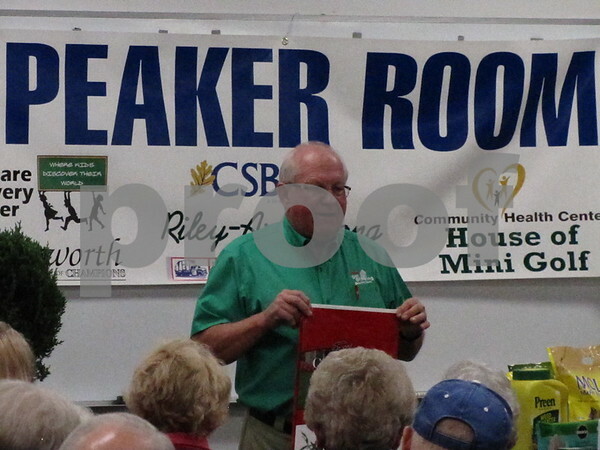 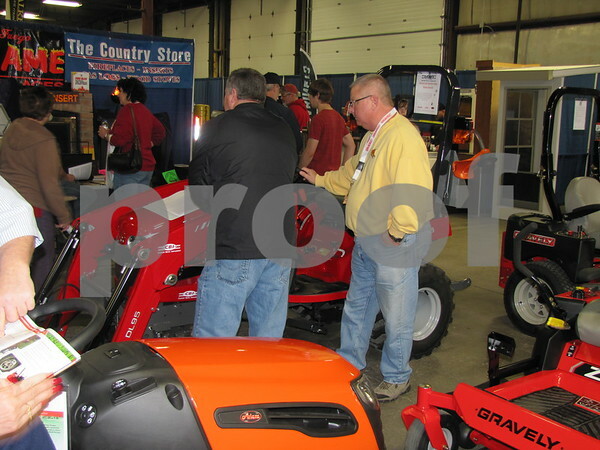 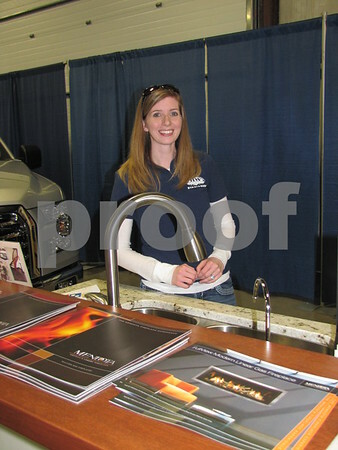 Jerry Kluver spoke to a large crowd at the Messenger Home & Garden Expo on Saturday.